British farmers are systematically being targeted by criminals. The leading rural insurer NFU Mutual has said that ‘agri-crime’ has risen 17% over the last two years. 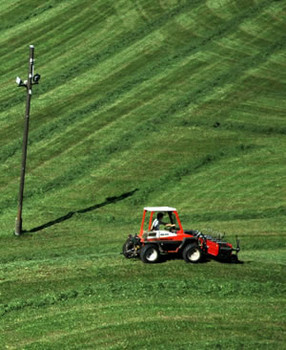 In 2010, the approximate cost of UK agricultural crime was £49.4 million. This is an extremely high amount and shows the constant battle that farmers face in protecting their assets. 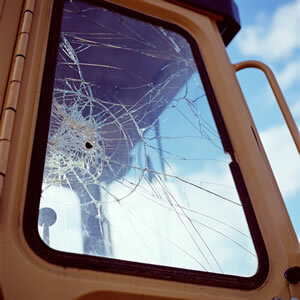 Between March 2011 and March 2012, approximately 35% of farms had experienced crime. Theft was the most common, with tools and power tools (such as chainsaws, electric drills and lawnmowers) being the top most stolen items from farms. These are smaller items but have considerable value, which when stolen, can have adverse effects to farmers. Tools and power tools are relatively simple products to keep safe and with the Armorgard range of tool security, it is virtually impossible for your tools to go missing. The 9 different sizes in the TuffBank range ensure that there is an exact size to suit your secure tool storage requirements. So there is no excuse, we have looked at all the potential ways in which a thief would attempt to break into a tool box, and in return we have strengthened and reinforced the areas on the TuffBank which could potentially be vulnerable, simple as that! We can offer a superb tool box that works much harder, still at the same great price! Help Armorgard to drive down theft and crime rates in the Agricultural market, by calling 02392 380280, or email sales@a-sp.co.uk – or sit back and do nothing allowing the situation to get worse! The official security provider on the London 2012 Olympic and Paralympic games is G4S. However, due to the scale of the operation, the Home Office has had to call on the military for support. Crossrail is the biggest engineering project in Europe, which is a large rail building exercise, constructing a metro style rail network across the city of London. The main civil engineering.